Happy Holidays: It's beginning to look a lot like Christmas, part 2. It's beginning to look a lot like Christmas, part 2. 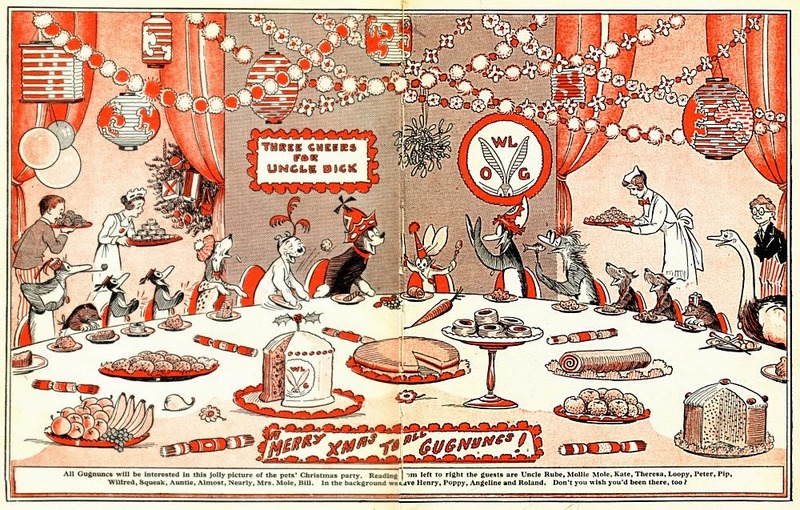 This picture is from 1930’s English children's Pip and Squeak Annual that belonged to my dad that I now own. This single image has directed how I see holiday decorating and I am not just referring to Christmas; no matter what your home decor is like, the holiday should plonk itself over everything else like a welcome but eccentric aunt. I can remember looking at this picture and thinking that this is how I want to decorate for Christmas. Those garlands and Japanese lanterns had a big impact on me. 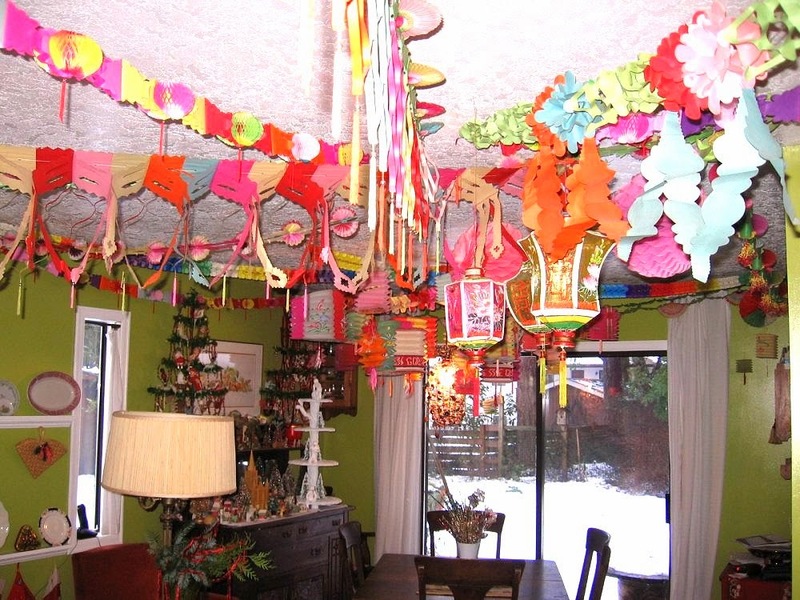 Here is a photograph showing the garlands on the ceiling at our home for Christmas. All of the garlands and lanterns are vintage. As you come into the living room from the hallway we have the live tree. 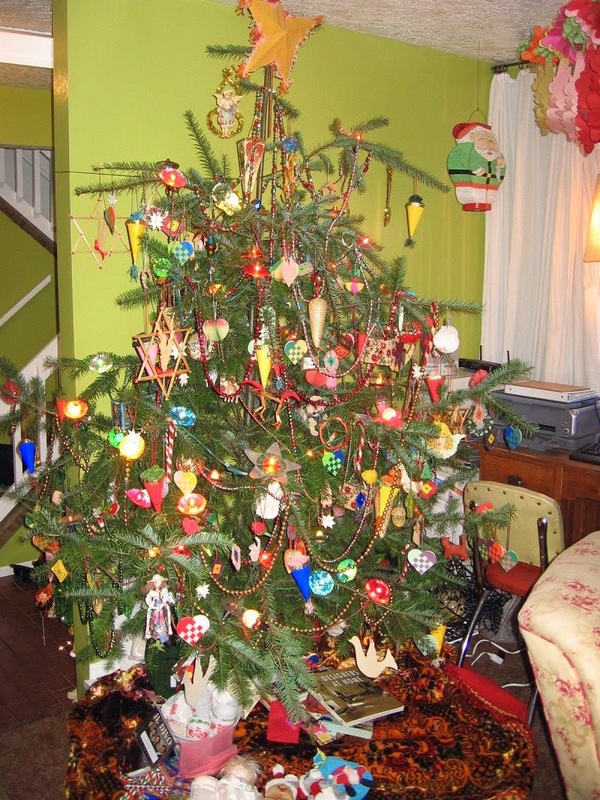 I do not like cultured trees; there is no room to display big ornaments. Trying to find a decent wild tree can be difficult but we put up with what is available and once it is decorated it looks just fine. Over in the corner you can see a Japanese lantern in the shape of a Santa Claus. Last year I used three red and cream metal tubs to hold the vintage trees. Two of the trees are goose feather from around the 1920's and the third tree is a 1950's plastic tree. Our buffet has a Christmas village on the bottom. All of the trees are vintage bottlebrush trees mostly from Japan but two of them are German. The houses are all vintage Japanese cardboard houses. The people populating the village are vintage Gurley candles. The large cake stand is one of my pieces. On the top shelf of the buffet are two goose feather trees that I made several years ago when I made the large tree that is in the hallway. 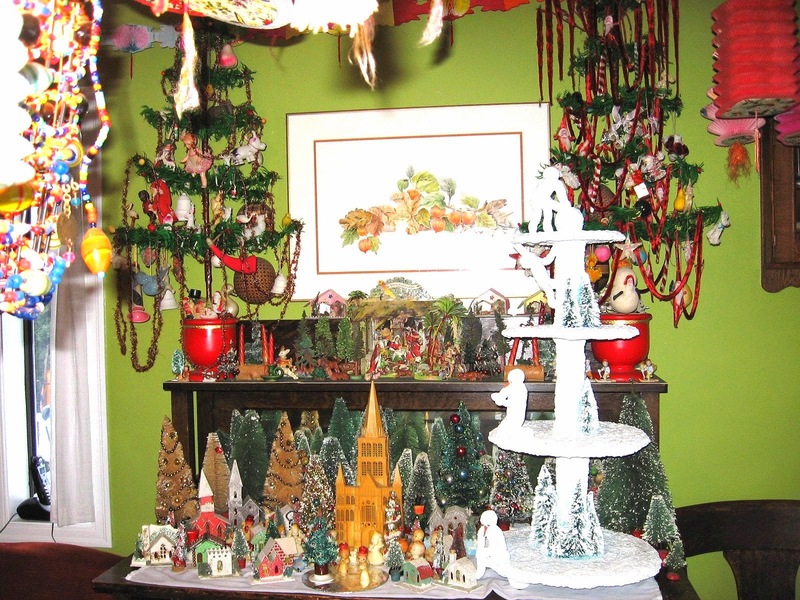 The tree on the left is decorated with vintage celluloid decorations. I love celluloid. 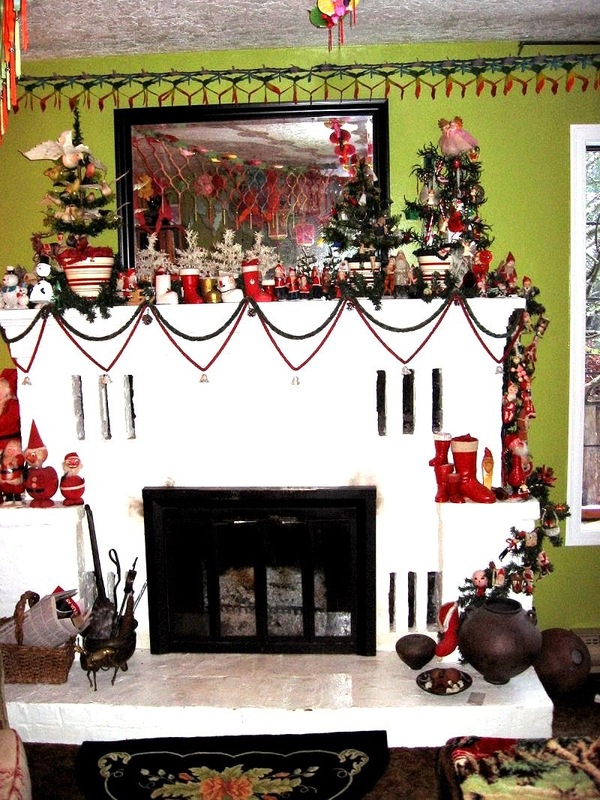 The tree on the right is decorated with cotton batting and chenille ornaments. 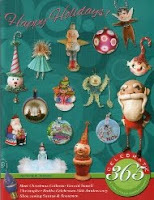 I love chenille ornaments as well. Between the two trees is a chromolithograph Nativity scene as well as other assorted goodies. This is how I decorated last year, so after the wedding the house will get transformed once again to welcome in Christmas Day. Everything looks beautiful. You have what I like a traditional Christmas...no designer trees for me. I agree totally. Designer trees are beautiful but they seem so cold. I did my share of tree decorating in department store Christmas departments and loved it! I was responsible for all of the trees. Our home tree(s) are my favourites though.